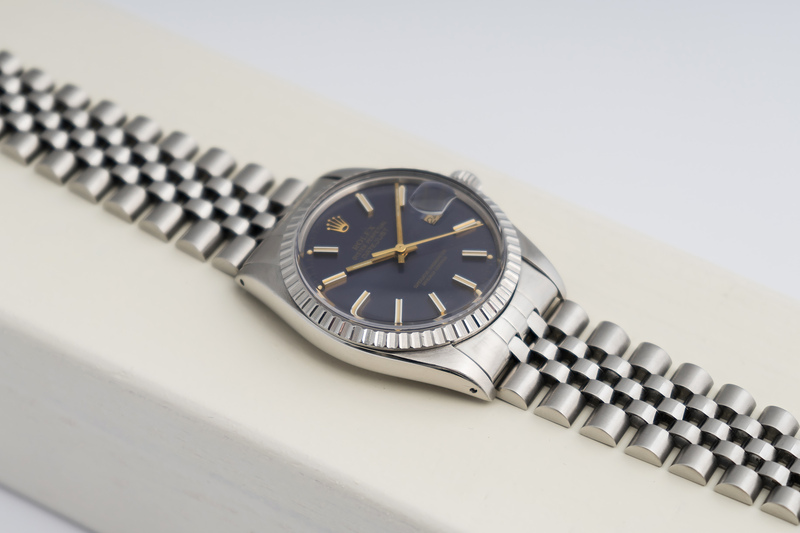 You might have seen our 16030 Datejust with its matte black dial we sold a few months ago? We received so much feedback via email and our social media accounts about that particulair watch, that we really wanted to find a similair one just to give another enthusiast the oppurtunity to purchase his or her dream watch! Well, we succeeded and this one might even be a bit more attractive! This 16030 has the same gold hands and gold hourmarkers with white accents as the one mentioned above. Well, not exactly the same – the hourmarkers shown here are a variation on the same theme, compare two and you’ll see what I mean. 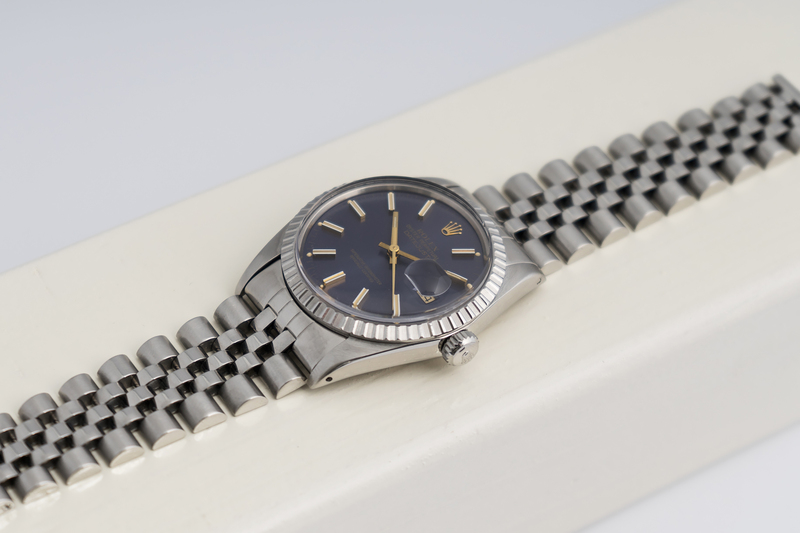 Anyway, this 16030 also has the same gold date disc, same perfect creamy patinated dots at the end of the hourmarkers and still has the original Jubilee bracelet attached to the watch. The big difference ofcourse is the beautiful purple dial! 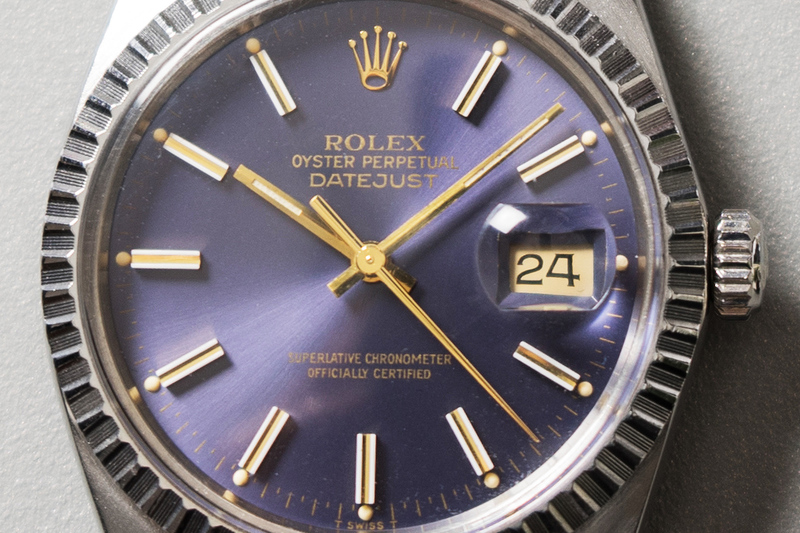 As you might have guessed this dial used to be blue, but due to age, UV and a non UV resistant varnish that covered the blue paint, the dial changed color to this truly cool, warm and beautiful color purple! 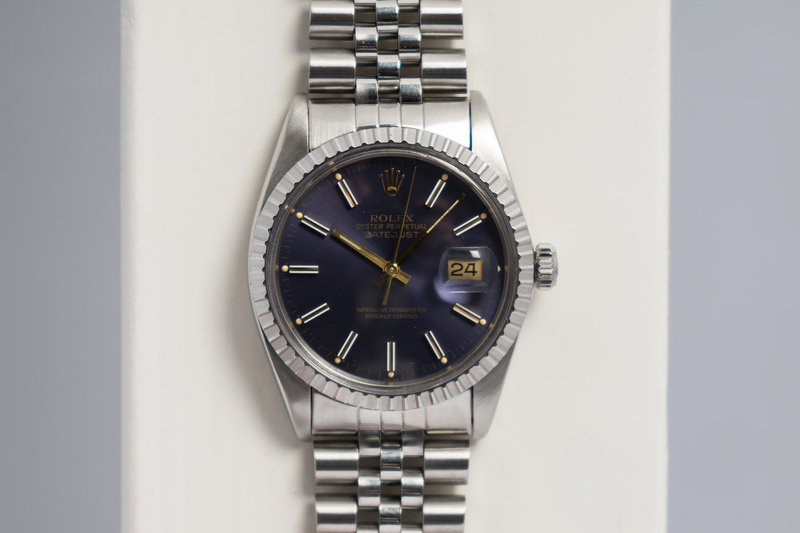 The gold printed text on the dial really completes the dial and the entire watch. The case and bracelet are in a great and ‘fat’ condition and will make for a lifetime of joy and wear. The new owner can give this beauty its own nickname – think Purple Rain, Purple Haze, Purple Heart etc. 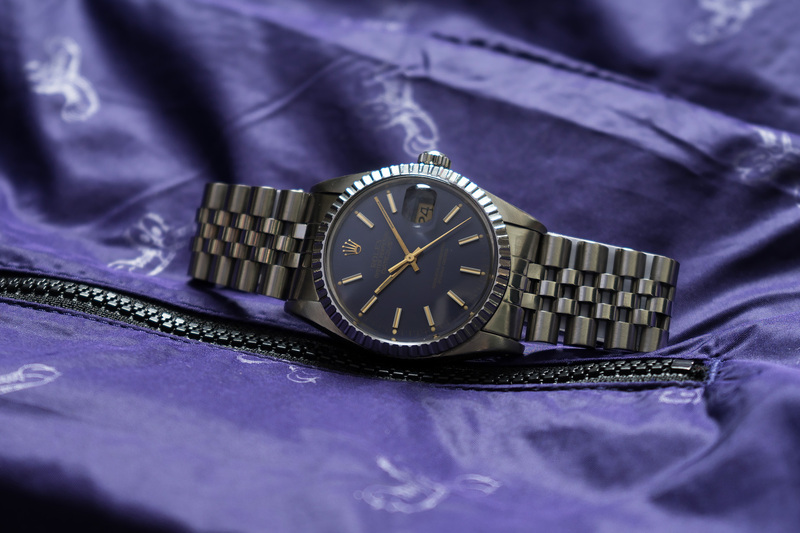 Whatever the name, This purple stunner was completely overhauled by our watchmakers and is in a wonderful condition! 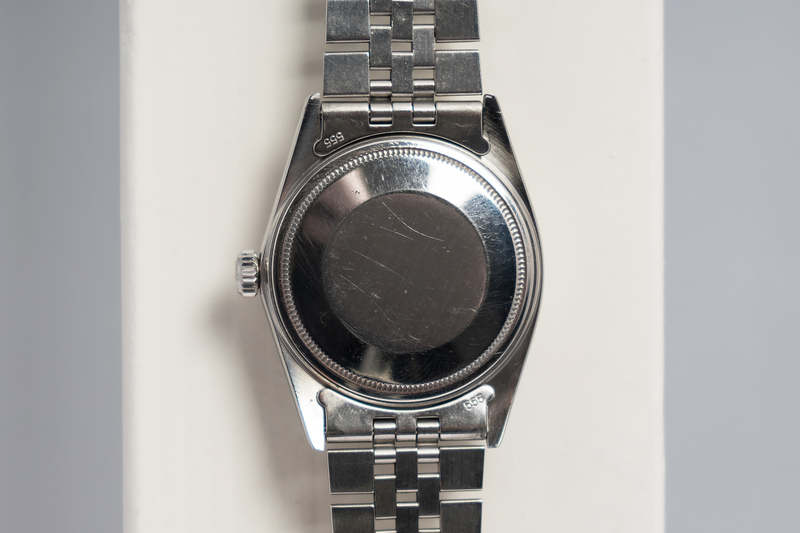 The watch will be offered with a 12 month warranty.